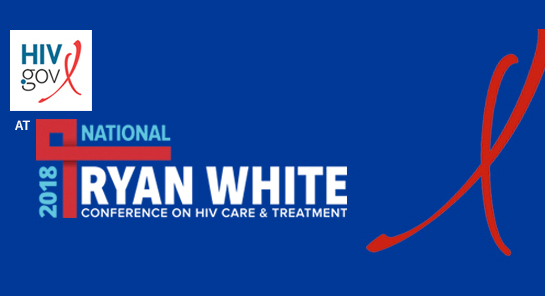 The 2018 National Ryan White Conference on HIV Care and Treatment takes place next week just outside of Washington, DC, in Oxon Hill, Maryland. HIV.gov will be there, sharing coverage from the conference and offering social media technical assistance to attendees. The biennial conference is sponsored and organized by the Health Resources and Services Administration’s (HRSA) HIV/AIDS Bureau (HAB), which administers the Ryan White HIV/AIDS Program (RWHAP). It is the largest national conference for comprehensive HIV care and treatment providers, RWHAP recipients, and other stakeholders. Over 4,000 participants are expected this year. Some of the HIV.gov team will be on hand to lend support to this important conference. We’ll provide daily coverage here on the blog and via Facebook Live interviews and social media updates for those not able to attend. For conference attendees, we’ll offer a Social Media Lab. Get more details below and stay tuned! We realize that many interested stakeholders may not be able to attend the conference, so we’ll be sharing highlights from the conference next week and in the week that follows. Blog: On the blog, we will be sharing daily conference highlights prepared by HRSA/HAB as well as several other conference-related items. Follow us on Facebook and Twitter for more information and any schedule changes. Social Media: We also will be sharing information from the conference via Facebook, Twitter, and Instagram. Follow the conversation with #RyanWhite2018. The Social Media Lab is open for all attendees to get personalized social media assistance. Drop-in for a 1-on-1 session (approximately 15 minutes) with our social media experts. If you’ve been wondering how to reach more clients and retain them, easily create simple educational graphics, use social media to save money on outreach, or how to use Twitter and Snapchat to reach clients, we can help. You have social media questions; the HIV.gov team and our expert partners have answers. Note: If you can’t make it to the Social Media Lab during the conference, HIV.gov can still help! Get social media questions answered via Virtual Office Hours. Book your appointment.